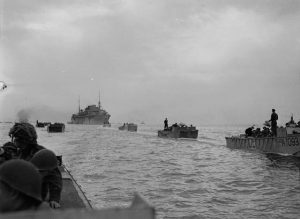 It is almost 75 years since D-Day and the Battle of Normandy in which 2,442 men and women, who served with British units, died. But for some, their story has stayed alive to the present day. Ordinary Seaman William Solomon was one of a small number of men who died during the Battle of Normandy, who served under an alias. This was often to mask their Jewish identity in case they were captured by German forces, as there was a risk that they would be treated more harshly as prisoners or even murdered. William was the son of Solly and Annie, of North Kensington in London – served on HMS Quorn during the Battle of Normandy, under the name ‘Wilbur Sullivan’. He was just 17 years old when he was killed in action on 3 August 1944, but it wasn’t until 2017 that his real name – and Jewish identity – were revealed. 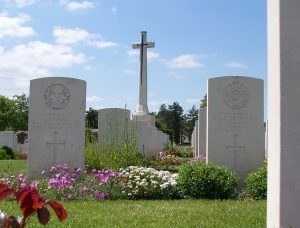 To recognise his true faith, the Commonwealth War Graves Commission is changing William’s headstone at Ranville War Cemetery to feature the Star of David, instead of a cross. Ordinary Seaman William Solomon will also be commemorated on the British Normandy Memorial.